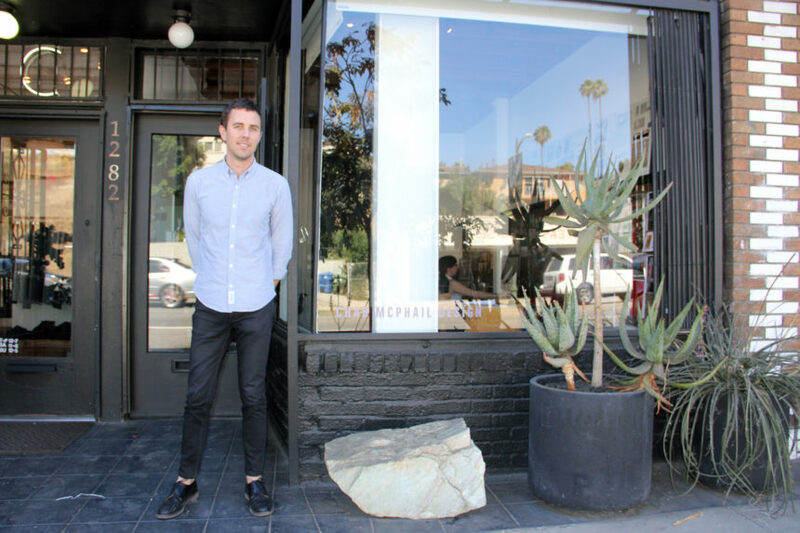 Chad McPhail is a Los Angeles-based interior designer that’s currently at work giving new life to Westlake’s Park Plaza. His diverse portfolio includes notable commercial spaces like New York’s Refinery29 office, and many stunning residential properties across New York and Los Angeles. Meet the man tasked with revitalizing the grandeur of one of Los Angeles’ most dynamic buildings, whose design ethos is centered around making sure you don’t know he exists. I grew up in Southern California. I moved to New York when I was 18 for school, and worked there for a long time. Things shifted towards freelance for me and it was either I establish this company and do this in New York, or leave and start from scratch, but either way I was kind of starting from scratch. Wherever I decided to build my business is where I wanted to stay, and I wanted to be closer to family. Plus New York is intense and 15 years is long enough. It was great, I loved every minute of it, but I’m really happy to be here. I went to school at Parsons where I studied interior design. Since I was a little kid, it’s always been what i’ve wanted to do. I have floor plans in crayon. There was never a moment where you were like ‘no, not this’? I had a very brief moment in my 20s when I was in New York where I was thinking I wanted to open a bar. And I started down that road and then I realized I only wanted to design the bar. Where do you start with a new project? Space planning. You start first and foremost, in a commercial space, with where everyone is going to go. On a project like Refinery29, what was an interesting challenge with them was that during the course of that project, the size of the company literally doubled. So you have to plan for scale; it’s a good kind of problem solving. And it’s fun in a situation like that to come up with interesting and clever solutions that aren’t going to cost a fortune. So you try to executive in a way where it still could change and evolve. When you finish a project, it’s a living space that doesn’t remain static. So how do you provide for a sustainable space? That is very much from the beginning part of the ethos behind everything. Take Refinery, to go back to that example. 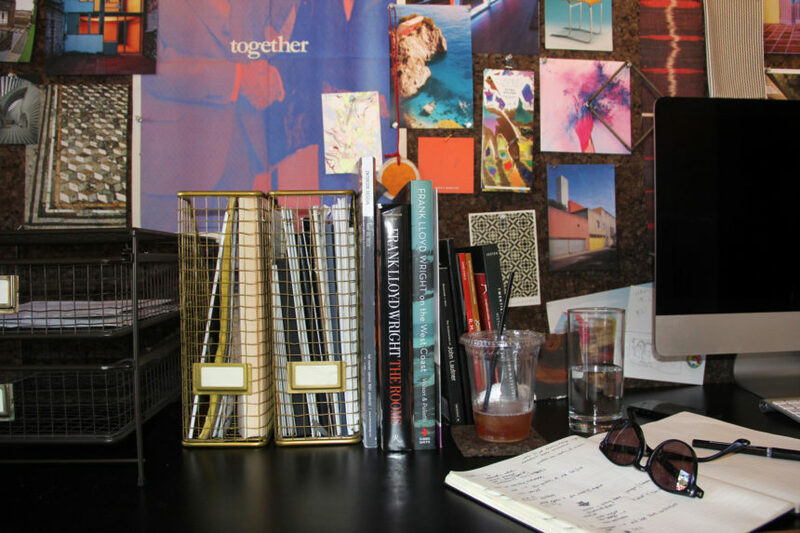 The space needs the infrastructure and support and right kinds of spaces within to allow for the kind of work that they do – really collaborative, creative, and open. It was a lot about letting people have their own personalities, and letting the evolution of the way that they work affect what the space really looks like. We planned a big meeting room that the whole company could get together in, and since we’ve finished the project, they’ve changed things around, brought in different tables. The goal is to build in that flexibility and not to invest in things that will get swapped out. In terms of residential, the number one guiding philosophy is that it cannot look like you hired a designer. It needs to look like you live well, that you have beautiful things and great taste. It has to look thoughtful and comfortable, but not like you hired someone to make it that way. For example, when you walk into a room, you shouldn’t ever think, “I see how they matched the pillow to the curtains.” It should almost be subconscious. It needs to feel right but you can’t quite put your finger on why it feels right. That it feels good but you don’t know why. Travel the most, I think. And books, learning about a new designer from the ‘20s that I didn’t know about and going down the rabbit hole of their whole career and philosophy and seeing where their influences came from. That’s how I spend my free time. I went to Turkey last year, which was amazing. Istanbul is textile and ceramic tile heaven, and there’s just so many layers of history and food and culture. This year, I’m going to Cuba, which I’m really excited about. What excites you the most about the Park Plaza? It’s one of the grandest buildings in the city. What an honor to get to work on it. Just standing in the lobby is super inspiring. I love history and Los Angeles and architecture, so it’s like everything coming together. Are there any trends that are happening right now that you loathe or love? It’s interesting because between living in New York and Los Angeles, especially in restaurant design and retail, there was this push towards old timey Brooklyn that’s changed now to everything white and stark and brass and marble. I wouldn’t say I have a reaction to it, I look at it more as like watching, like a bystander. It’s more about noticing rather than responding. It all kind of goes back to my approach to design; the idea obviously is that a space feels timeless. That it shouldn’t feel dated or trendy. So how do you respond to Instagram culture? There seems to be a real emphasis on creating spaces that have these vignettes that inspire someone to Instagram. I haven’t had a client say that it is important to them yet, but it obviously and evidently is. What [Instagram culture] does emphasize is that there needs to be a lot of collaboration, between the branding person, the interior designer, the architect, the landscaper, all of whom need to have the same goal, which is increasingly focused on branding. It really showcases how important branding is in each space. It’s sort of a lofty question, but what is Chad McPhail’s design legacy? I guess it kind of goes back to someone feeling like they can’t quite but their finger on it, but it all feels right. There’s an apparent comfort, cleverness, elegance, proportion, color and balance, etc., but it’s very subtle, and it’s almost like you can’t figure out why it feels so good to be in that space, but it just does. There’s so many elements: lighting, textures, color, without any one of them being obvious, adding up to a really positive feeling of being in a space. 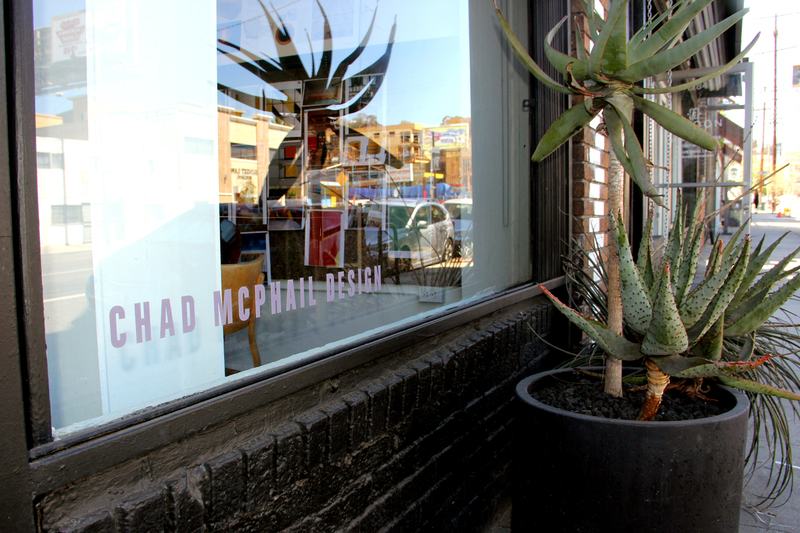 You can keep up with Chad McPhail here.